Whether you are planning to move 100 miles or 1,000 miles away, the logistics of any relocation can be tricky, especially if this is your first time taking on such a challenge. 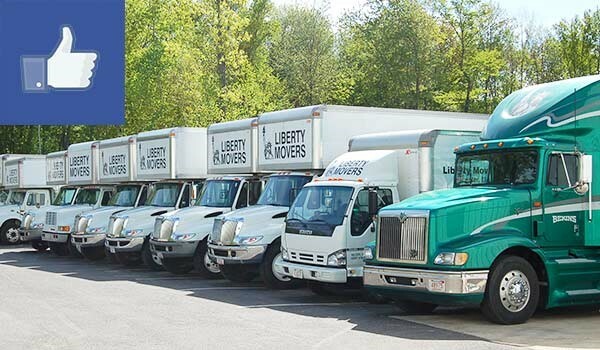 Rather than handling all the details on your own, you should enlist the help of a trusted team of experienced Worcester, MA movers, like Liberty Movers. As providers of Trusted Moving Services Since 1920, you won’t find a more experienced moving company in this area. Our affiliations with the BBB and the American Moving & Storage Association are further proof that we are an established moving company you can trust with your long distance move. Knowledgeable Staff: We train each of our movers in the most efficient packing, wrapping and moving techniques to keep your items safe and sound throughout their journey to your new home. Excellent Customer Service: On every moving project, we dedicate our efforts to providing the highest quality of customer service. It’s never too much trouble for us to take the time to answer your questions and put your mind at ease. Modern Equipment: Our many years in business and our long-standing association with Bekins Van Lines mean we have access to the most modern equipment and processes for handling your prized possessions. Residential and Commercial Services: Our Worcester long distance movers can be relied on to relocate households, offices, and more. Regardless of the nature of your move, we guarantee the same unwavering commitment to quality service. Safe and Secure Storage: If your new home or office space isn’t completely ready, or if you’re just not quite ready yourself to deal with all your belongings, we can offer temporary or long-term storage in our safe and secure facilities. Why not let the experienced Worcester long distance movers of Liberty Movers handle all your heavy (and not-so-heavy) lifting? To begin the planning process, simply give us a call, or fill out our online form to request your free quote today.